Mobile apps for data entry are now available for Apple and Android devices- download them from iTunes or the Google Play Store! We recommend that you get your sites, plants and animals set up using a computer and browser first, and use the app primarily to facilitate data entry in the field (skip the datasheet step). The mobile applications work without wifi or cell service - data are stored locally on the device. 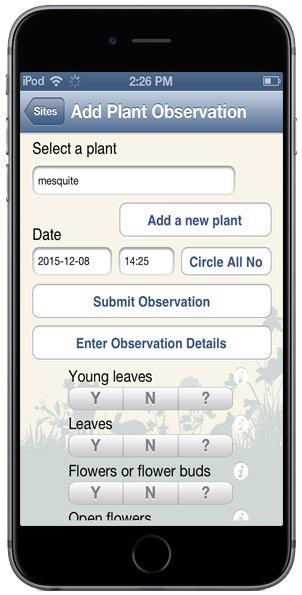 However, you must remember to sync your data from the device when you return to service so that it uploads to the National Phenology Database. If you data do not appear on the computer application after a field session using the phone, your data were not properly synced. If you downloaded a beta version, please uninstall it and get the newest release from the app stores. Updating your application ensures you have the most recent release of the app. Once you've downloaded it, the app will ask you to log in, using your same credentials as the website version. You will be then directed to the OAuth page, where you should click "Grant Access". We have developed in-depth step-by-step documents for getting you set up and submitting your observations from a mobile device. 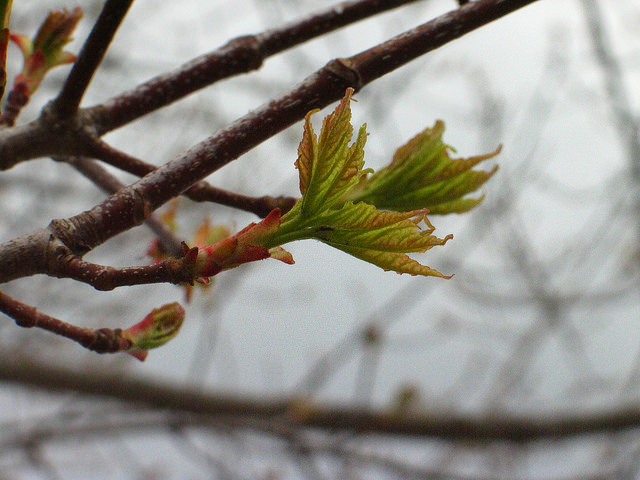 Coming soon - Nature's Notebook Observer Certification Course - this online course will help you test your phenology observation skills. Once you are certified, your data will be tagged as entered by a certified observer. View tutorials on our USA-NPN YouTube Channel. 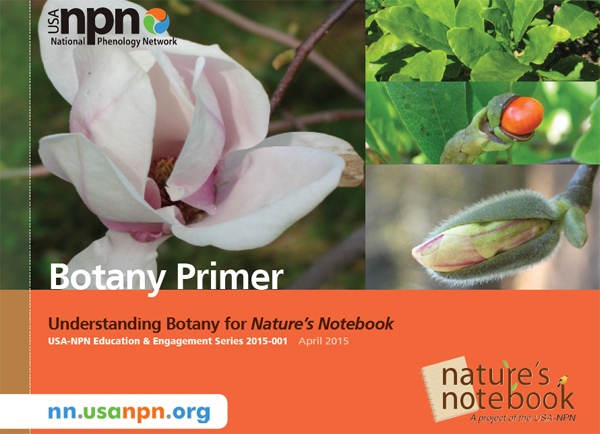 Download and browse our Botany Primer and Phenophase Primer for more information. 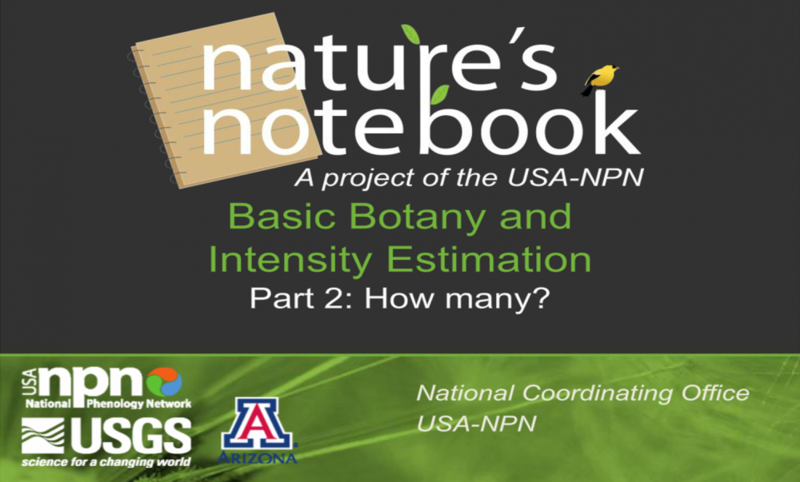 Take our Basic Botany and Intensity Quizzes. Still unsure? Review our FAQs for help. 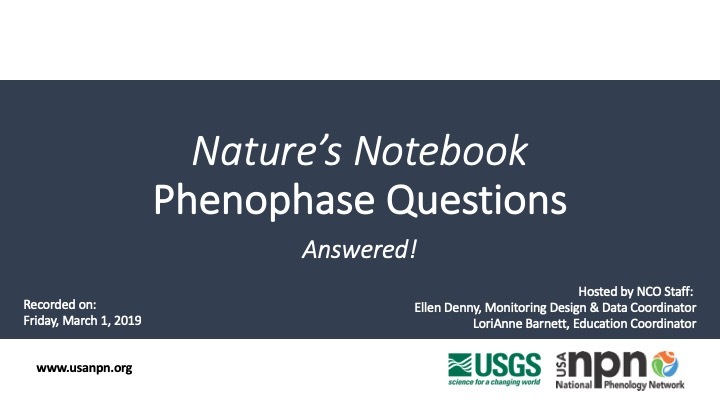 View our Phenophases Questions Answered Webinar! Or review the slides.